Oh, wha a *beautiful* soup! Those are some of my favourite colours! Thank you so much for the chance to win these delicious ingredients! This book is so exciting. 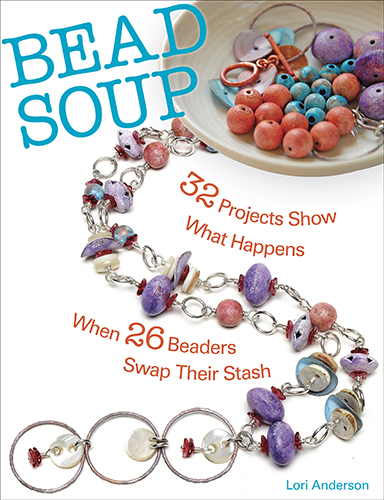 I'm amazed everyday when i see what each talented beader created with their soup. Congrats. What a pretty soup! Thank you for all the inspiration you give! Again - love the loot!!! Thanks for hosting this fun giveaway this week!! Thanks for making all of this possible. I sure would love to win! Your fuchsia and teal bead soup is gorgeous!!!!! I'm having so much fun checking out all the blogs and seeing the sneek peaks of there pieces. Thanx for the chance to win this great soup. I love the colors. This hop greatly enhances your awesome book. We get to hear the stories behind the jewelry & that gives it more meaning. The chance to win great beads helps too. You showcased so much talent, have wonderful pics, lots of great tips, & present it in a fun way. "Bead Soup" is a definite A+ book. Everyone should own one. Another wonderful bead soup! You have such a great eye for color, and I love the fuchsia. Wow, Lori, the grand prize mix just keeps getting better with this newest addition. And your giveaway bead soup has such a colorful mix of beads and fibers. Thanks so much for the opportunity to play along. The more I read what the contributors and book tour giveaway participants have to say about your book, the more I want to get my paws on a copy. As others have written, thank you for the continued inspiration. Lovely mix of beads you are offering today as well. Thanks! I would love to win this bead soup. I can't wait to see the book; it looks fabulous. Thanks again for these many opportunities. Gorgeous colour combination, I especially love those teal beads. What a gorgeous color combination! Two of my favorites! Fuchsia and teal two of my favorites. I'm enjoying the little taste of each soup, but I practically fell into yours when I saw fuchsia beads! Could I please be lucky for once?! Another wonderful Soup! I'd love to just come visit your work room.....just to oogle at all the pretty things you have! Well that and learn as much as I can soak up in a short amount of time! Beautiful colors! Fuchsia and teal. Love it! 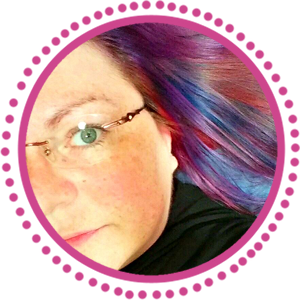 I am having so much fun blog hopping with you. I have really enjoyed watching all the soup making and book making for a while now. A good day for soup as it's cold here in the windy city today. Love your bowl today. Oh what fun and oh what beautiful colors! More beautiful soup! Can't wait to see all the patterns revealed in the book! Such amazing prizes! This blog tour is fantastic! What a wonderful feast this is, even though I am getting a late start I plan to visit every table! The bead soups newel getting better and better - such pretty colors. Thanks for the chance to win again. gorgeous colors in that soup! 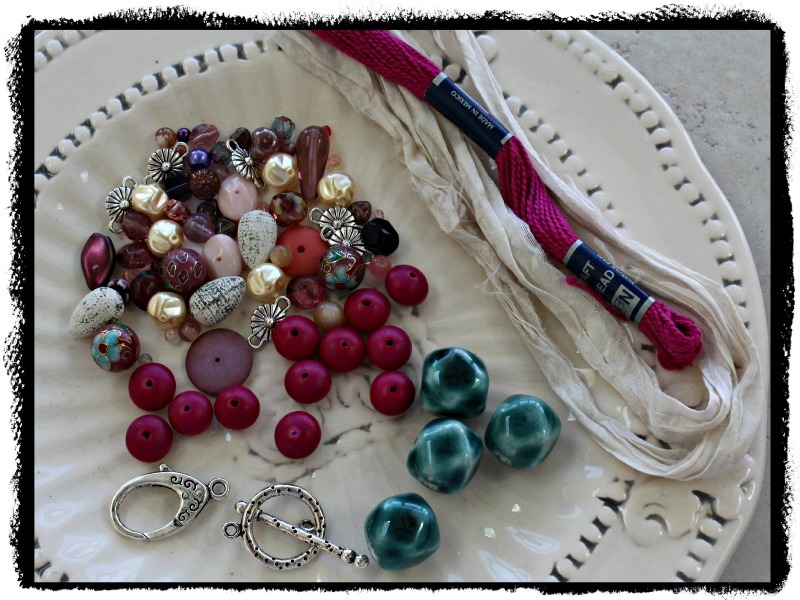 Love the colors of these bead soup ingredients! I'd love to play with it and create a delicious soup with them! Oh, these are all so great! Thanks, again, Lori! Wow! - Everyday there are such awesome prizes! 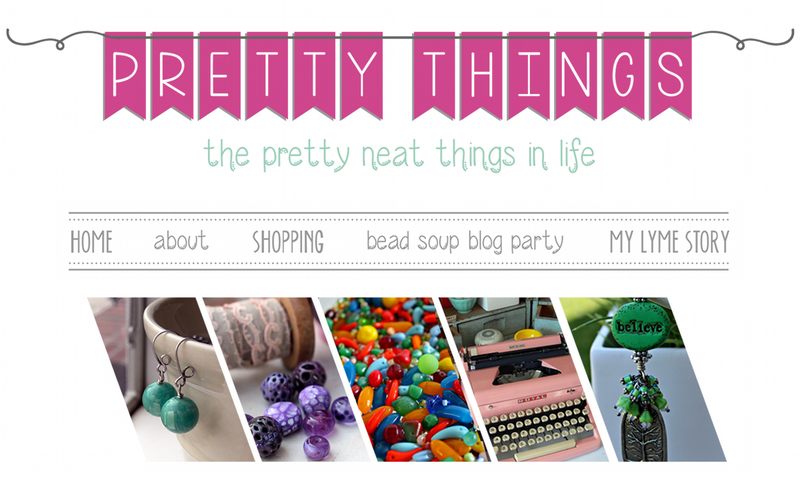 This has been such an exciting week, looking forward to seeing what pretty things were going to be blogged about each day, made me eager to get up each morning. Thanks for all you do. That color combination makes me weak in the knees - gorgeous soup today! 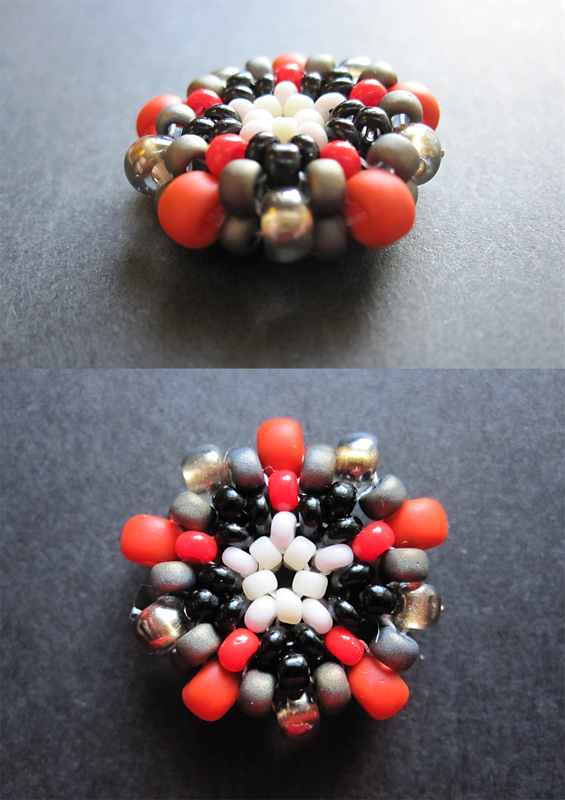 What an awesome bead soup! Count me in! Pretty PLEASE! Whoa! You've been having fun all week & I've been missing it. Love your color combos. Still unpacking from my move to NM; beading soon! I am so proud to know such an amazing woman! You are a gift to this community. Your generosity, support, and love are unequaled! Very interesting color combination. And these teal beads are so pretty! Please enter me, okay please pick me ;-) I can't wait to get a copy of the book! Gorgeous colors in this soup, Lori! I have enjoyed every post this week - eye candy, for sure! Lori, I think this has to be my fave. I love the fuchsia and teal. 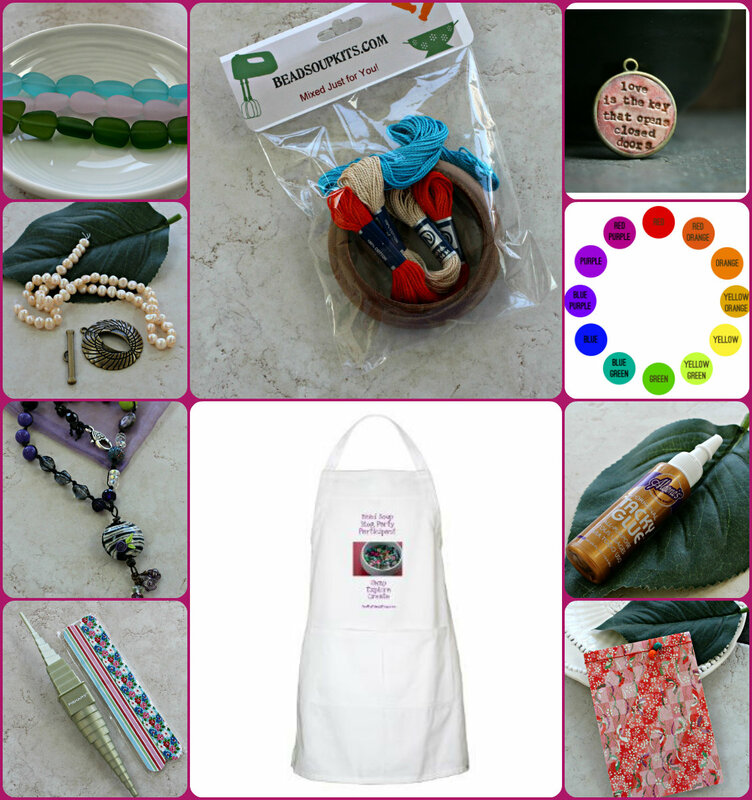 You are the bead soup maven! Your generosity is amazing. Gorgeous soup! Love your style, Lori. I'd be over the moon to win - please enter me. And thank you for doing this! Oh Lori! Those are gorgeous! I am so behind on both my blogging and my reading blogs! Congratulations on the book! I am so excited for you!! lol I'm scrolling down the page looking at each prize... and every one of them earns the same "Ooooooh...!" lol gorgeous giveaways! Day Six already. What will be do when this is over? 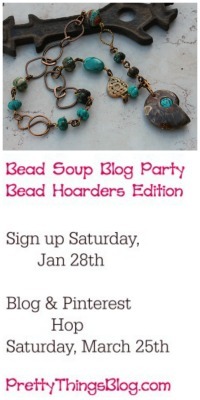 LOVE your bead soups! =) How pretty. That is a gorgeous soup. Would love to win it. I'm really enjoying your book. Don't know if the first comment came through. But I love that soup and would love to win. Also really enjoying your book. 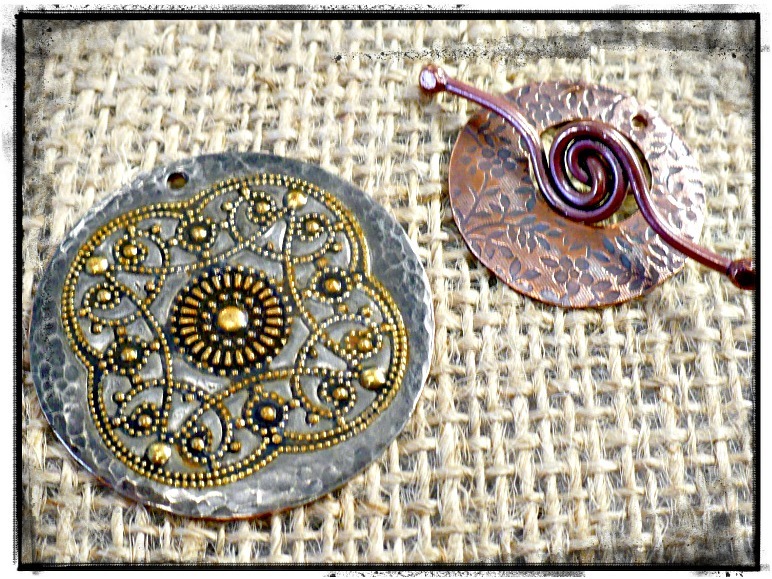 The colors in today's bead soup are lovely and inspiring. Please add my name to the list of hopefuls. Thank you for all the wonderful giveaways! I am so excited to see all the gorgeous giveaways. That soup is awesome. I'm all about color and love the rich colors of fuchsia and teal in the soup and would love to create something with it. Thanks for the opportunity. OMG! What a beautiful Fuchsia and Teal Soup. Everytime I come back, I find more yumminess then I thought possible. Your desire to share and encourage growth is amazing! This is definitely a blessing to the beading community. Your followers adore you for your openness - I know I am a follower! OH MY GOSH! Every day, this gets better and better! I will hate to see it end! Love this fuschia and teal soup! SIGH........every day I have a new favorite. I love these colors! This is such a pretty bead soup! Love love love the colours in this soup Lori! I love fuschia and teal together - another lovely giveaway!! Thanks for the chance! You have just a great sense of design and color. I guess that's why you're the Chef and I'm standing in line at your restaurant trying to get in. Wow! Some of my favorite colors in that soup. I am hoping that it finds it way this direction. Teal and deep read--what is not to love? The the rich fuchsia color with the aqua blue!! Thank you for this chance to win one of your bead soups. What a wonderful selection of prizes! Thank you!! Lori, that fuchsia and teal soup combo is juicy! Thank you for the opportunity to win, Lori - you're such a sweetheart: congrats on the book! Love the color combo even if it itsn't in my comfort zone. I need a stretch right now so winning this would be great. I need something good in my life right now. What delicious looking soup ingredients you've put together! I'm probably a little late leaving this comment, but still enjoying the book tour!